JCB will exhibit a range of rental-ready machines at The Rental Show 2019, hosted by the American Rental Association in Anaheim, California from Feb. 17-20. The event will be the debut for the JCB 512-56 Loadall telescopic handler equipped with a 74-hp JCB EcoMAX engine, making it the world’s first 12,000-lb telehandler that requires no diesel particulate filter (DPF), no diesel exhaust fluid (DEF) and no other engine aftertreatment. Also at the show, JCB will preview two new machines that will launch in North America in coming months. The 1CXT backhoe loader will be a compact, tracked machine with excellent material handling and excavating capabilities and the footprint and maneuverability more commonly associated with a compact track loader. The 19C-1 IE electric mini excavator will be the first of a new generation of JCB E-TEC electric products and will feature a three-battery pack which will last a full working day with no compromise on performance and no emissions. The JCB Teleskid is the world’s only skid steer and compact track loader with a telescopic boom, which allows operators to lift over 13 ft high, reach forward 8 ft and dig 3 ft below grade. The Teleskid is equipped with a 55 kW (74 hp) JCB EcoMAX engine, requiring no DPF or DEF and is available in wheeled and tracked models with rated operating capacities of 3,208 lbs and 3,695 lbs, respectively. 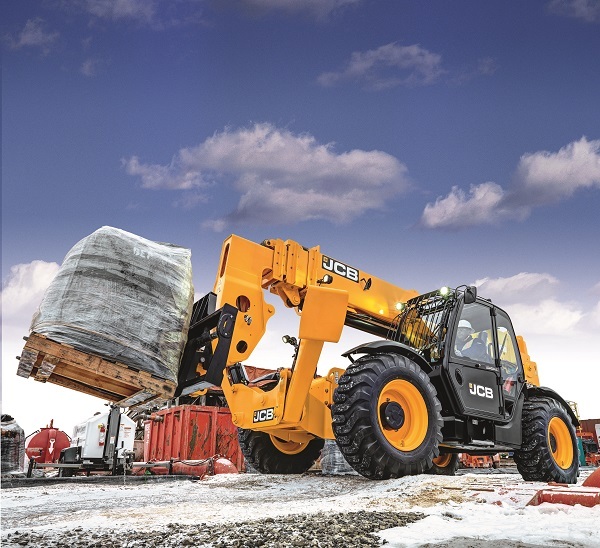 Also on the JCB booth (#6325) at The Rental Show 2019, the company will display its 50520TC Loadall telescopic handler, 3CX backhoe loader, 3TS-8T Teleskid compact track loader, 215T compact track loader and S1930E electric scissor lift. Click here for more JCB news!